If you're following along on Instagram (which of course you are, right?!) then you know that last week I #snapped. Okay that is a bit dramatic! But I did decide to do something I don't think I've ever done before which is delete Instagram from my phone for a whole week. Don't get me wrong, there have been some long stretches where I haven't posted much, but I've still been on the app consuming others' content. 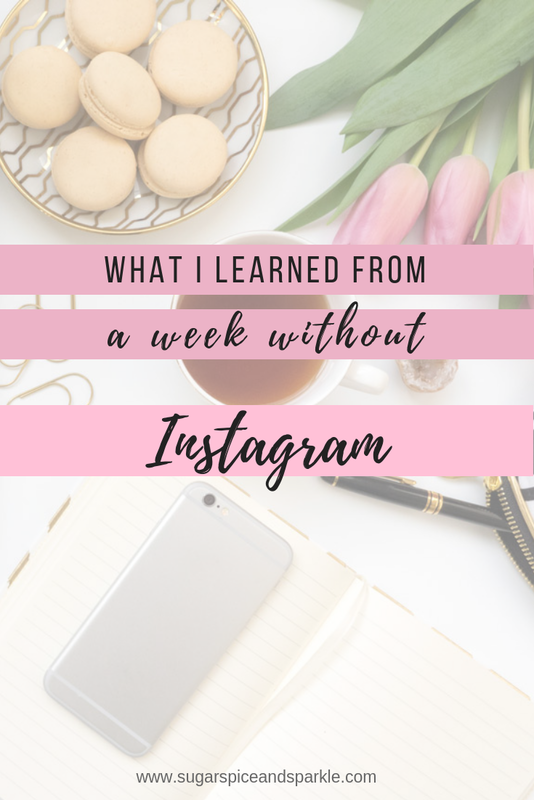 I wanted to come back from my mini hiatus by sharing a few learnings/realizations from the week, so keep reading to see if you should take a week off yourself! But first - WHY did I feel like I needed a break? 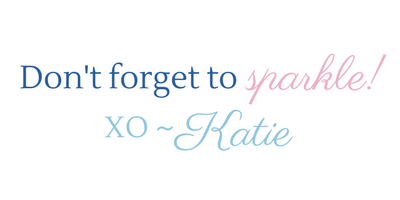 Being a blogger, social media comes with the territory, and it's a huge part of why I love blogging! But it has a dark side (wow, again with the drama!) too and that is called the comparison game. When you're constantly consuming other people's work and seeing their lives, you try not to let it get to you but it takes a toll. I found myself obsessed with figuring out how to get more likes, checking my follower count, and just feeling bummed out. One night I just got really fed up with myself for feeling that way so I said that's it! I'm taking a week off - I need a break. I didn't think about it, I didn't discuss it with anyone, I just posted that it was happening in that moment and that was that! I pretty much already knew this but last week confirmed my addiction. Being that social media is part of my business I couldn't delete the app immediately because I was waiting on a few DM replies which for whatever reason you can not access through a desktop. Sometimes I would pick up my phone and click on Insta before I even knew what my fingers were doing! Once I moved the app to the last page on my phone all was good, so if you are a subconscious clicker like me, I would suggest occasionally moving around the app on your phone so that you actually have to think about opening the app and it's not such easy access. Without Instagram I noticed I was picking up my phone a lot less, which is of course a good thing mostly but its bad in the sense that I wasn't taking as many pictures and videos! Once I realized this I quickly started documenting again and all was right in the world. Now you might be thinking "wow so she really only does it for the gram" and that isn't true, I love documenting my life because I love looking back at it myself! Instagram just happens to be an easy and handy place to keep everything. 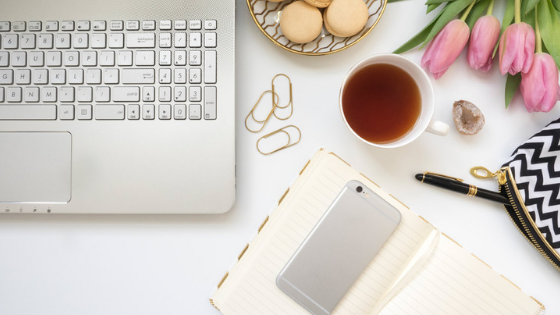 Plus, as a blogger, you need to constantly put out new content and your mind kind of gets wired that way to always be thinking of what to share next. And if you don't think I am talking about you - I am. Every person I interact with on Instagram is a friend in my book and I'm so lucky to have you all as part of my life! I love sharing cute moments with you, discussing the crazy things our kids are doing, and seeing what you're up to on stories. I've always said the relationships I've made through blogging are my favorite part and I don't think that will ever change. I can't wait to get back to chatting with you regularly again! All of this has made me realize I need to set boundaries with social media. As fun as it is in the moment to constantly be online, it isn't healthy. I plan to dedicate certain times to scrolling through Instagram so I am not just aimlessly browsing throughout the day. In a podcast episode I listened to the guest was saying she always creates before consuming. I love that idea - I want to use my creativity every day before I expose myself to others. It can be hard to come up with ideas when your mind is full of what everyone else is doing. So... there you have it! Do you feel like you need a break from social media? Would you ever delete Instagram? Have you done this before? I'd love to chat with you in the comments below!